Everything about this book just looks amazing. The cover is gorgeous, first of all. And the plot sounds intriguing! A massive luxury spaceliner crashing on an unknown planet? I’m sold! 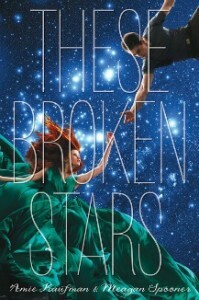 This book is also on my TBR list! And I love the cover! The cover is so pretty, and the book sounds so good! Can’t wait! Cover is definitely gorgeous! I cannnot wait until this comes out. Great choice! Same! It looks awesome! Original, too; I don’t think I’ve read anything like this in a long time, if ever. I’m eyeing up this one as well! he cover is just too darned gorgeous to turn down! A great cover is definitely the first thing that lures me in! I can’t wait to read it!